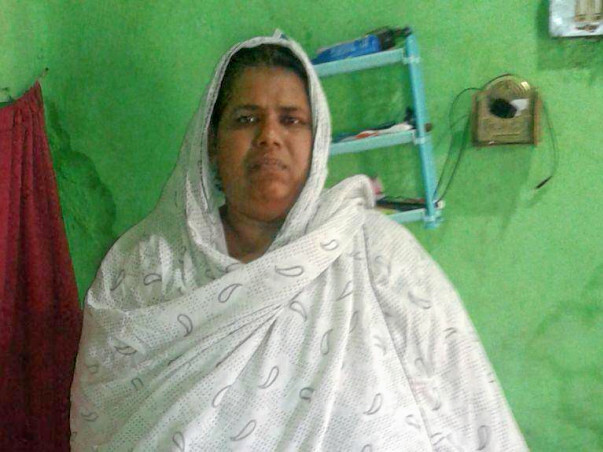 Thirty-Eight-year-old Zeenath Kausar Khan based out of Aurangabad suffers from morbid obesity, currently weighs 148kgs. Her body mass index (BMI) is 58.8 which puts her in the category of super obese. 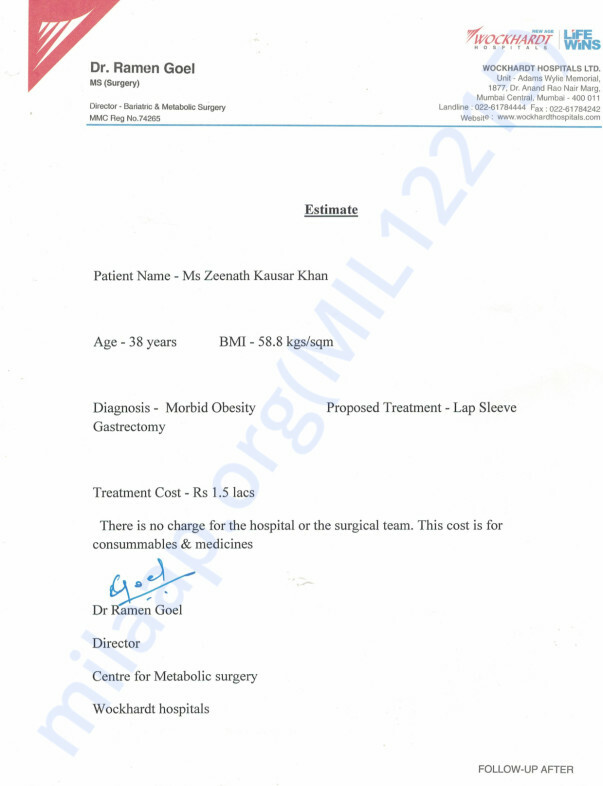 With a lot of difficulties and on the insistence of her children she got ready to undergo a bariatric surgery to reduce her excess fat. Zeenath is a graduate and was working until her movements were restricted due to her obesity. She had to leave her job due to an unbearable pain in her joints as a side effect of obesity. Zeenath Khan got married in the year 2006. Things got worse after her pregnancy. Her blood pressure started fluctuating. Thinking over and over about her treatment she developed health issues like hypertension and sleepless nights. Her husband is a tailor who earns Rs. 100 on a daily basis. They find it very difficult to lead a stress-free life with a monthly income of Rs. 3000. Zeenath has two children (7 years old son and 9-year-old daughter). Zeenath dreams of spending quality time with her children which she can’t due a constant back pain. Zeenath Kausar Khan looks forwards to getting operated on March 15. Will you help raise funds for the mother of two to overcome her obesity? Thank you, Free Press Journal for supporting the cause. The link to the article is attached. May Allah bless you with good health.